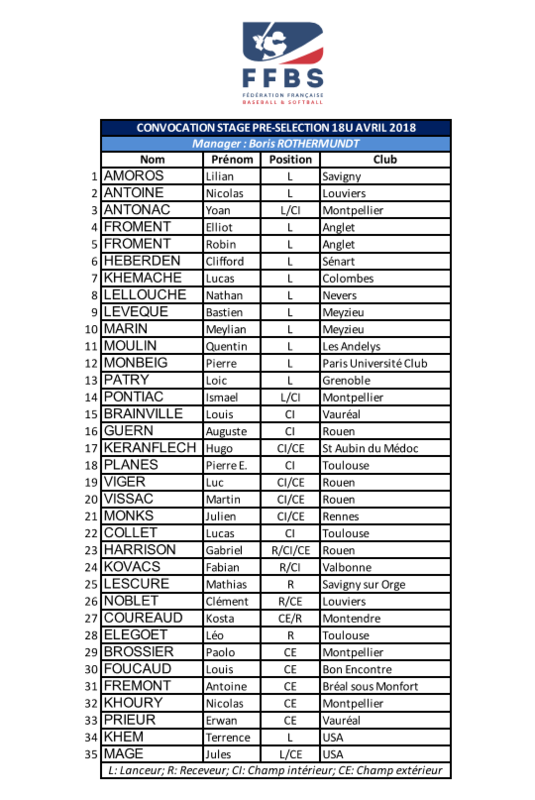 The French Baseball and Softball Federation (FFBS) has released a preliminary roster for its U18 National Team. 35 players were selected by head coach Boris Rothermundt. Training camps are scheduled in April, June and July. In the last stage exhibition games against Germany and an American travel team are scheduled. France faces Great Britain, Netherlands, Czech Republic and Ukraine in Group A of the U18 European Championship in Grosseto, Italy (July 9-15).